The world we live in is constantly pulling our attention to a million different things at what seems like a pace of a million miles per minute. We are bombarded with emails, text messages, social media updates in addition to our numerous work projects, home duties, errands, kids, etc. It can be overwhelming to say the least, not to mention stressful. 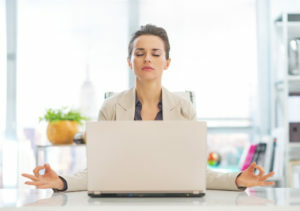 While some level of stress in our lives is normal and can be productive, chronic stress is associated with a number of potential health problems. These can include anxiety and depression, digestive issues, heart disease, insomnia, weight gain, memory and concentration impairment, and muscle pain/tension. In particular, maladaptive stress responses have been linked to the transition from acute to chronic pain. However, current research is suggesting that interventions geared toward promoting anxiety and stress reduction have a role in down-regulating of the impact of stress. Enter Mindfulness. 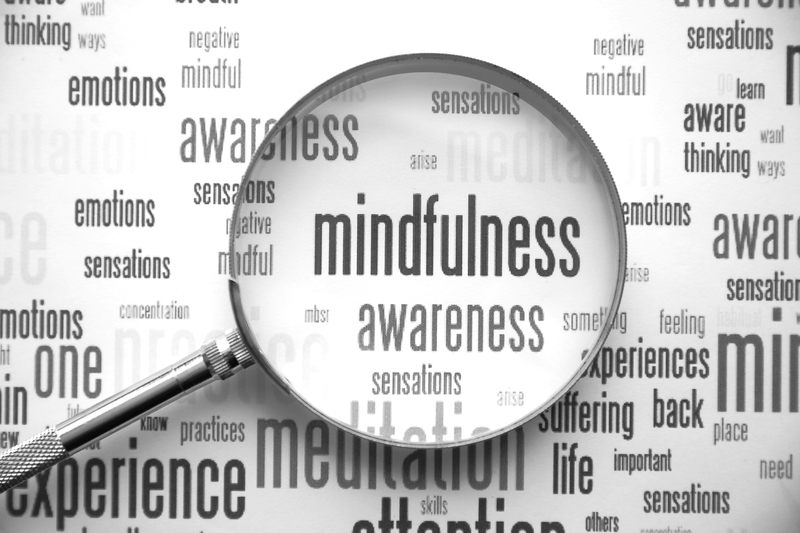 Mindfulness, according to the American Mindfulness Research Association, is “the state, process, and practice of remembering to observe moment-to-moment experiences with openness and without automatic patterns of previously conditioned thoughts, emotions, or behaviors”. 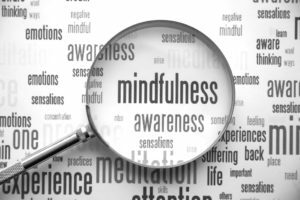 This means that mindfulness is available to us in every moment, should we take the time to bring it into our conscious awareness. It’s that idea that you might pause and take a breath instead of rushing to answer your phone, or before shoving that next bite of food into your mouth. It can be just that simple, bringing your attention to the breath for a moment or two. You might also stop and pay attention to other sensations: taste, hearing, pressure, or even pain for example. This attention to the immediate sensory experience provides us with an opportunity to calmly observe the sensation without struggling to change it. In this way it can be beneficial in responding to or managing pain. If we are able to separate out the physical sensation of pain from our reaction to it, accepting it without judging and observing with self-kindness, we have a renewed sense of control over our experience with it. But if a course isn’t a possibility for you, there are a number of guided meditation apps available for smart phone users. Guided meditation practice is a great way to begin your journey toward embracing mindfulness and can be as short as 3-5 minutes/session. A few options are “Insight Timer” and “Headspace” to look for in the App Store.